On Friday I won another Twitter RT competition (Seriously July has been my lucky month! 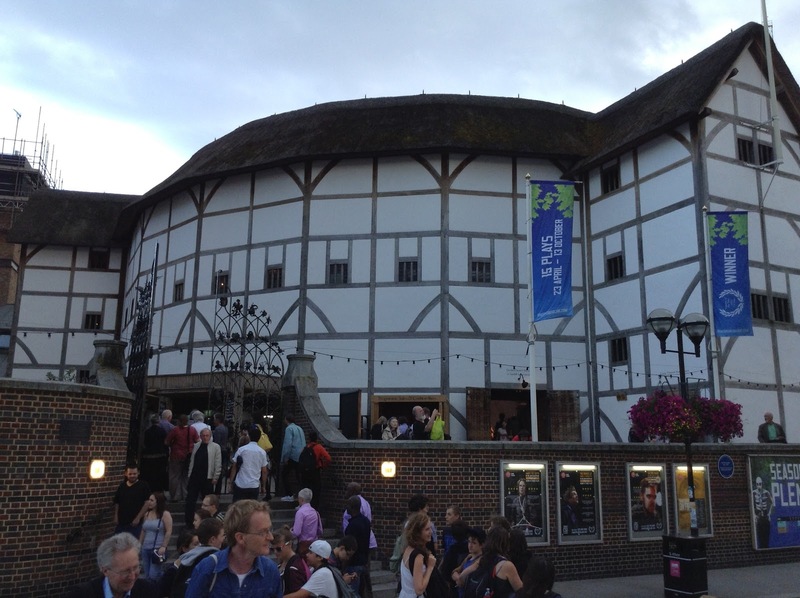 still no lottery win though…) and this time I got 2 tickets to the opening night of Indian Tempest at The Globe Theatre and a couple of free drinks! Excellent! My cousin and I had a really lovely evening, walking along the River to the theatre and enjoying a couple of beers before the show started. We had great seats in the Upper Gallery giving us a clear view of all the wonderful goings on of this inventive and original adaptation of Shakespeare’s The Tempest. I won’t say any more here as I will do a full review shortly, but we had a really lovely evening and it was the perfect play to watch on a stormy night by the Thames!